Home - Titan Robotics Inc.
TITAN pushes the boundaries of state-of-the-art technologies to deliver flexible intelligent robotic solutions. Robots come in many shapes and sizes. Titan is not afraid to take on the largest of systems or the most precise challenges. 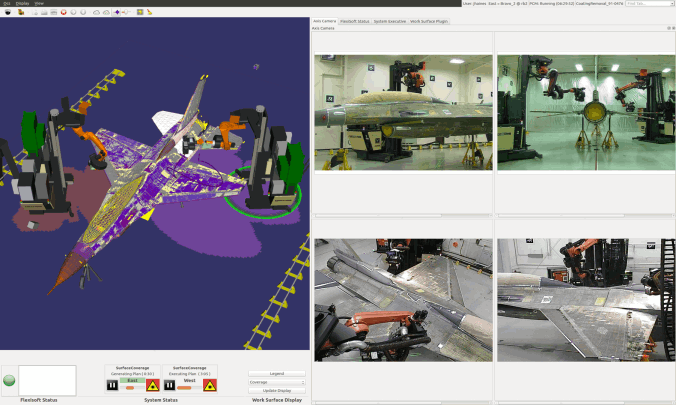 Titan's core software technology can be used to dynamically plan and control mutli-axis robotic systems with unique hardware configurations for any application. Titan uses commetrial robotic hardware where possible. Our software is robot agnostic. We will work with any industrial robot or custom robotic system. Titan software includes full collision modeling. We ensure that our robots will not hit your part. This allows us to work in close proximity to high value assets without fear of collision. 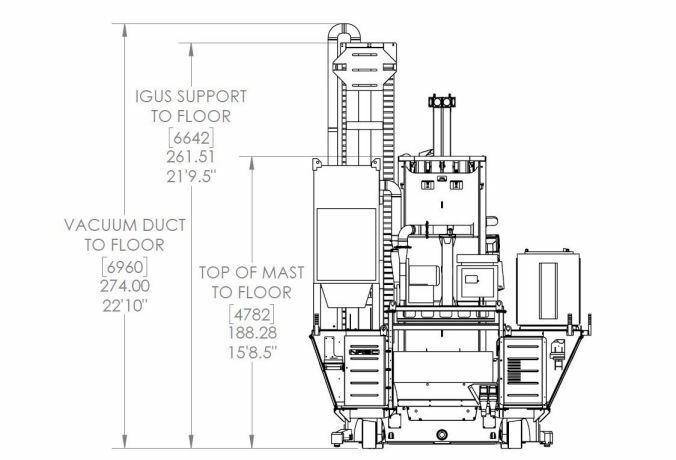 This is enabled by our part localization, mechanical design, path planning, and dynamic control. Titan uses in-process part localization to find the part we are working on before working on it. This allows us to compensate for variance in part positions. Titan software plans robot paths during operation. This means there are no taught paths and the ability to work on a large variety of parts that would infeasible with traditional approaches to automation. Titan uses a control scheme incorporating machine learning and artificial intelligence that allows dynamic control of the robot and robot tool. This ensures the robot and tool are always in the desired position with a high level of confidence. Titan uses a proprietary cable management system that enables very controlled and predictable cable movement to the robot end effector even when doing non-repetitive movements. 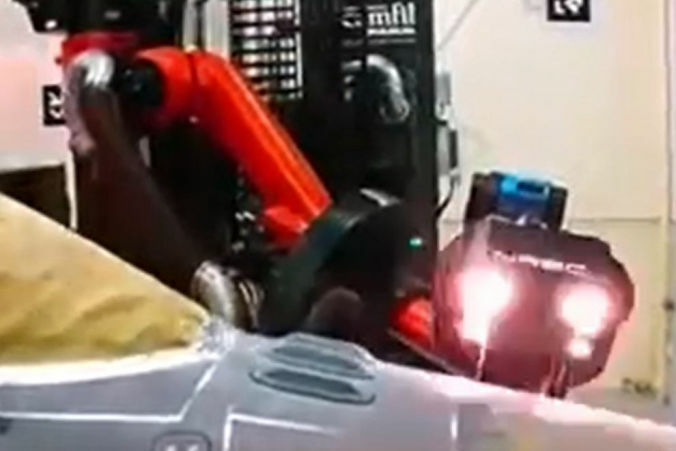 Titan integrates industrial robot hardware. Where OEM equipment does not exist to meet the customers' needs, we have an in-house team of electrical and mechanical engineers to develop the solution. Titan's robotic systems can deliver the latest sensor technologies to complex surfaces for data collection. Applications include 3D scanning, non-contact thickness measurement, and other challenging inspection tasks. 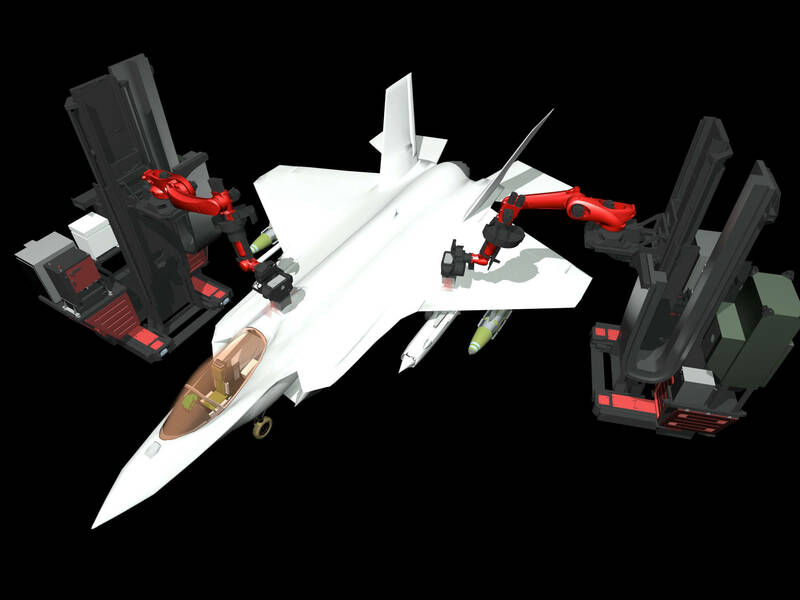 Titan's approach in modeling and control allows for very complex robotic systems including industrial arms on mobile bases. This allows access to areas not typically accessible to industrial robots. Titan's expertise in laser paint removal can be applied to any surface, regardless of its complexity, and adapted for other surface treatments such as painting, sanding, etc. Titan believes a customer should never have to write or even look at a line of computer or robot code. All interaction with Titan systems is through a Graphical User Interface (GUI). Titan systems include a simulation environment that also acts as a digital-twin. All processes are tracked in real time providing a high-fidelity record of all system behavior. 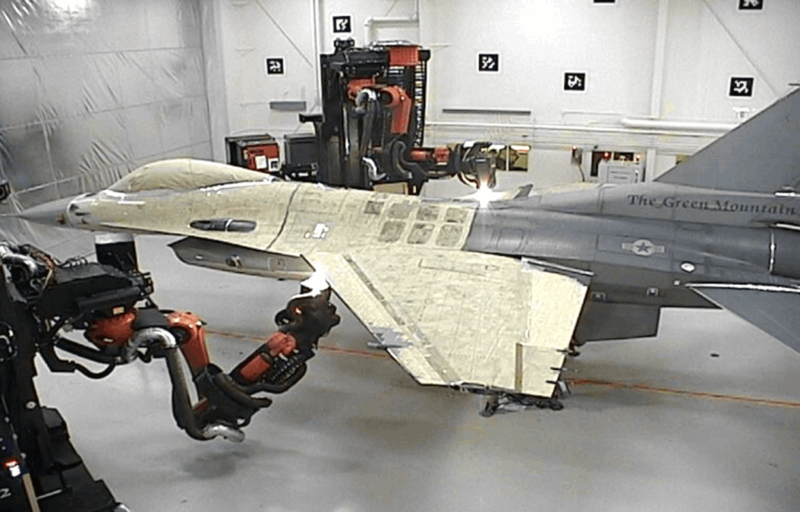 Titan Robotics has executed multiple contracts to deliver Robotic Laser De-Paint systems to the United States Air Force. Titan has handed over control of laser paint removal systems to USAF operators to use in the periodic maintenance of aircraft. These systems incorporate the portfolio of core technologies Titan can deliver to its customers. Titan has worked with our customer to deliver iterative updates to both hardware and software systems improving system capabilities and reliability. We continue to test and improve our laser processes in our engineering facility laboratory to expand substrate and surface treatment removal capabilities. Our team is made of industry experts across robotic systems. Our engineering experience includes cutting edge modeling, path planning, machine vision, machine learning, industrial robotics, lean manufacturing, and almost all other areas of advanced robotics. Our team works with equipment suppliers to improve designs and push limits to bring proven technologies into new application spaces. If a piece of hardware does not exist that we need, we have an engineering team ready to build the solution. 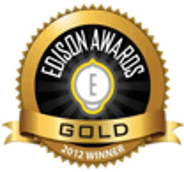 We strive to work with our customers to determine the best solution given the newest technologies available. 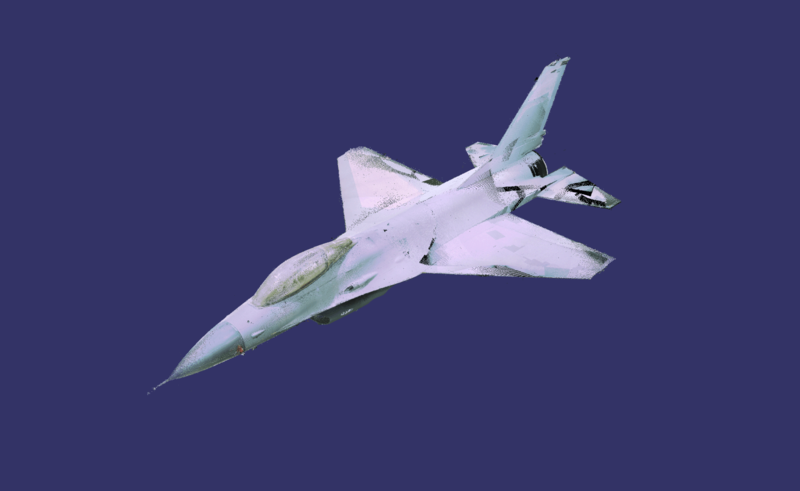 Before NREC and Titan involvement, numerous attempts to automate airframe surface processing were made with limited success. 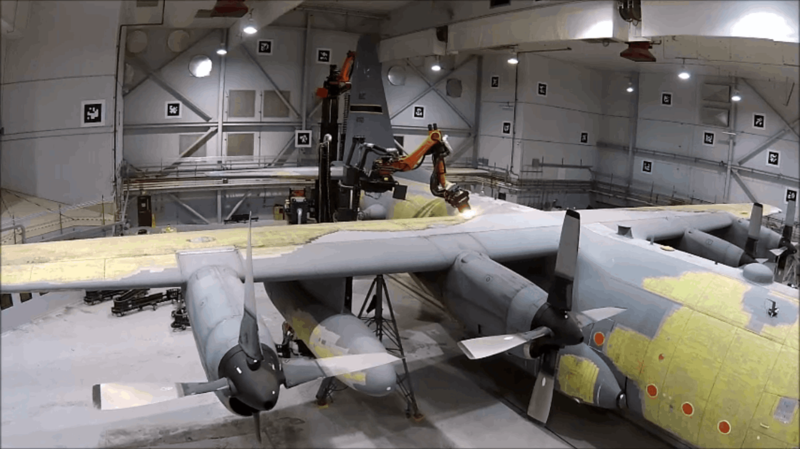 After successful participation in a US Air Force competition, the Air Force funded an effort at the National Robotics Engineering Center (NREC) to develop an automated full aircraft surface processing system. This started with delivering a high-power laser to the surface of aircraft to remove paint. The USAF determined the laser de-paint system is vetted and could be used on production aircraft. After considerable external interest in the underlying technology, Carnegie Mellon spun out a company (Titan) to broadly commercialize the technology. Titan Robotics Inc. was granted the exclusive license to the technology that enables our systems. 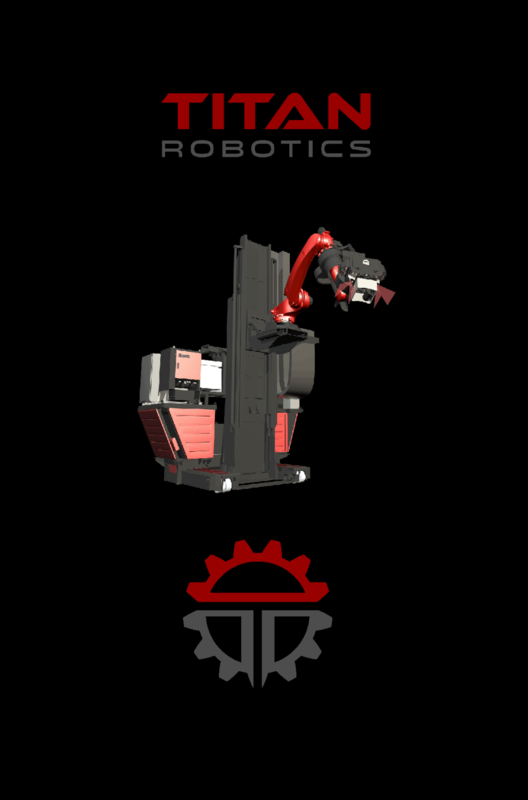 Titan Robotics Inc. receives first contract in transfer of technology from Carnegie Mellon / NREC. 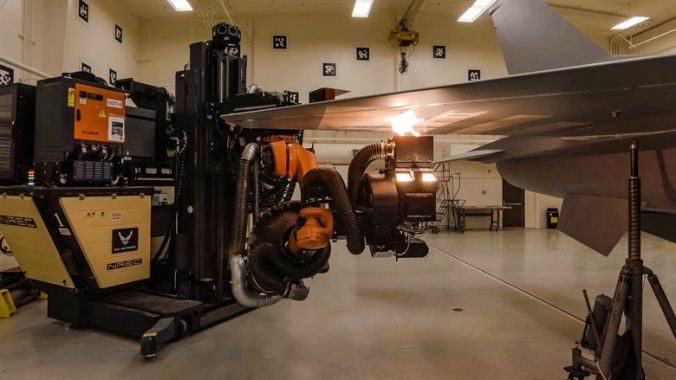 Titan Robotics Inc. is awarded a contract at Warner Robins AFB in Macon, GA. Our laser depaint system is being integrated in a different hardware configuration showing the versatility of our systems. The team at Titan has continued to develop the software to provide better and more diverse capabilities. "The newly-approved Robotic Laser Coating Removal System vaporizes paint in a self-contained process that significantly reduces environmental hazards to maintainers." 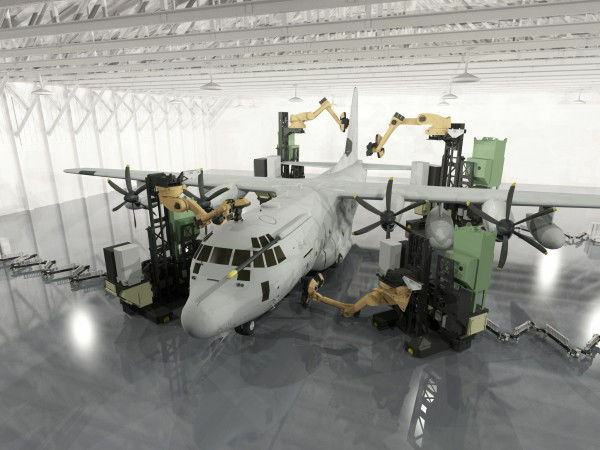 "Titan Robotics — a maker of maintenance robots for work on jets, drones and other aerospace equipment — announced Thursday that it will expand into a 10,000 square-foot space in the South Side." 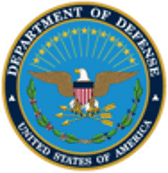 Titan will be in attendance and has a booth at the 2018 DoD Maintenance Symposium. Please stop by to talk to our team. 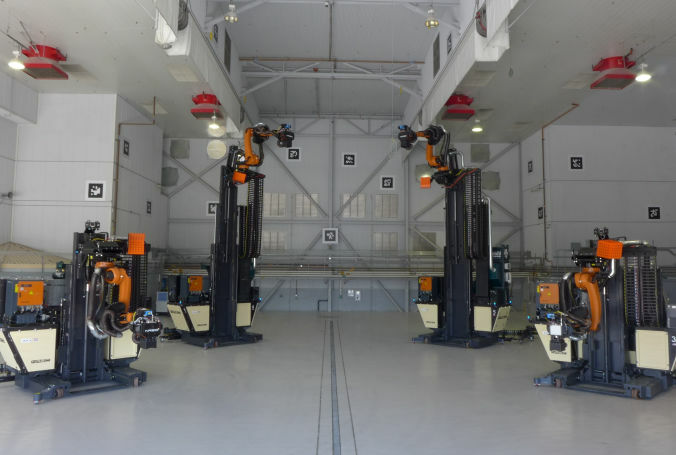 Titan Robotics will discuss how their aircraft laser coating removal technology is improving USAF/DoD corrosion control operations and how the technology enables other aerospace automation applications. - Presented by Mr. Stuart Lawrence CEO of Titan Robotics, Inc.